The Moraceae has 2 tepals in each of 2 whorls (yellow arrows: outer tepals, white arrows: inner tepals), four stamens, and 1 gynoecium. Gynoecium is reduced in male flowers. Dioecious. Usually male flowers of dioecious plants retain a reduced gynoecium. Why the non-functional gynoecium does not completely diminish? Adaptive advantage or developmental constraint? Streblusは多系統になることがわかり、いくつかの種が別属や別亜科に移動した（Clement and Weiblen 2009）。Strebus sensu lato were polyphyletic and now several species are moved to other genera or subfamilies. (Clement and Weiblen 2009). Clement, WL and Weiblen, GD. 2009. 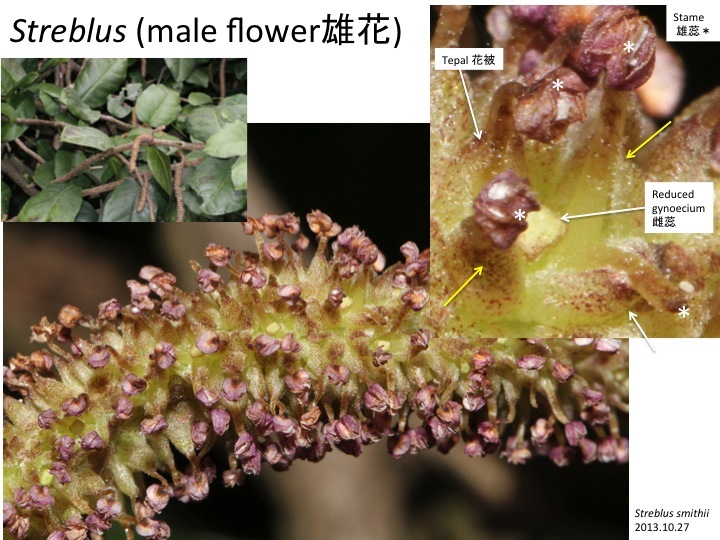 Morphological evolution in the mulberry family (Moraceae). Syst. Bot. 34: 530-552. 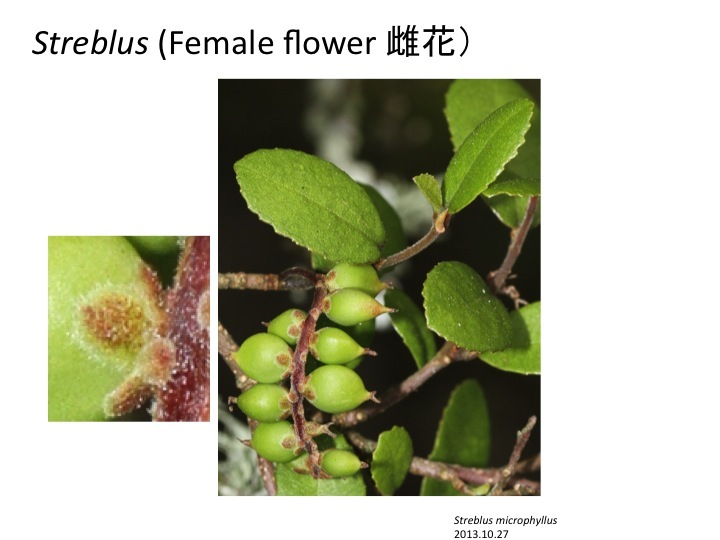 雌花も4枚の花被を持つ。Female flower also has four tepals.